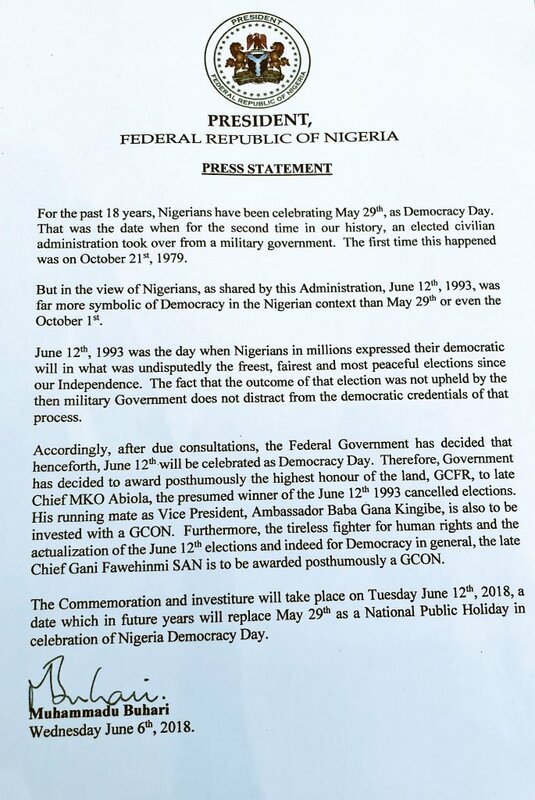 President of Nigeria has announce through a press statement and twitter post the decision of the Federal government to change democracy day from May 29th to June 12th and also the awarding of posthumously highest Honour in the land, GCFR, to the late Chief MKO Abiola, also GCON to Chief Abiola’s running mate, Ambassador Baba Gana Kingibe and Chief Gani Fawehinmi, SAN. 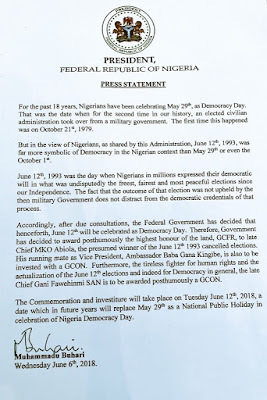 Chief Abiola’s running mate, Ambassador Baba Gana Kingibe, is also to be awarded a GCON. Does this means we will be having another public holiday this month?